Wheely Wheelers Racing in the Kingdom! Sunday 29th April saw our racers in action in the Kingdom of Kerry. Castleisland was the venue for the John Drumm Cup Road Race promoted by Currow Cycling Club. On this occasion the club was represented by Brendan Houlihan, Big Dave Walsh, Daithi Creedon and Mark Mullins. First mention must go to Mark Mullins who was competing in the under 12 race. Mark battled in the bunch all through the race and scored a brilliant top Ten finish, definitely a star of the future.Well done Mark!! In the senior race our boys were in the thick of the action again. Brendan and Big Dave were in the main bunch and performed well amongst tough competition, they’re moving closer to the front every week. Daithi managed to get on a few early breaks and was enjoying rubbing shoulders at the front. In the final dash for the line Daithi burst through to take a hard fought third place, the second podium finish in two weeks and a sure sign that his first win can’t be far away. Well done boys. Frost greeted club members as they congregated in the car park for the Sunday morning spin. The usual banter was in full flow as two groups headed off. The sun wasn’t long thawing out fingers and toes as we headed for Bruff. We continued on to Grange, Lough Gur, Herbertstown, Hospital, Knocklong, Ballylanders, Ballintubber, Kilfinane, Ballyorgan, Glennanar and home. The strong wind on the homeward leg made the going tough. Out spinning were Shane Gubbins, Paul Finn, Jerry Herbert, Dodo Kelly, Shane O’Brien, Stephen Finn, Ger Finn, Willie McCarthy, Brendan Daly, Mike Sexton, John Carey, Paul Gammell, Mike Meade, Owen Tobin, Martin Lake, Pat O’Donnell and Stephen O’Meara. Good traing for the upcoming tours. On Saturday morning Gerard O’Connell, Jerry Ryan, Garry Tierney, Liz Leonard, Robert Shanahan and John Crowley were out spinning. Saturday afternoon saw the underage members and coaches out on the road for a training spin. The pace was controlled and everyone enjoyed themselves. As always, thanks to the trainers for giving their time and experience to the younger members. 47th John Drumm Cup Promoted by Currow CC. Great result for Southside Wheely Wheelers Cycling Club. Congratulations to Daithi Creedon on 3rd place in the A4 47th John Drumm Cup Promoted by Currow CC. Well done to Brendan Houlihan and Big Dave Walsh finishing in the bunch of over 100 cyclists. Wheely well done lads. Great team work lads. Last Sunday was a great day in the history of our club. SWW members Daithi Creedon, Stephen Finn, Dave Walsh, Alan Dee and Brendan Houlihan headed to county Tipperary to take part in the Nenagh Classic Road Race. With fellow members there to support and help out as stewards, the race start flag was raised for the large field of competitors. As always, it was flat out from the off. Our boys were all in the main bunch until a crash held up Alan, Brendan and Dave for the second time in as many races, Stephen and Daithi were battling hard up front. As the riders approached the finish line Stephen who was far from 100% fit took up the role of lead-out man for Daithi, the excitement was unreal. In the final few meters Daithi was just passed to take a brilliant second place, the podium was secure. Congratulations to all the boys but “hats off” to Daithi for putting the Southside Wheely Wheelers colours on the podium for the very first time. Very well done to KCC club members Kieran Moloney who took the win and Austin Sheedy who came in third. What a day for Kilmallock cycling. On Saturday, Ber and Michelle Gammell took on the very tough 100km Comeragh Challenge in county Waterford. With 136 men and only 4 women crossing the start line the ladies knew it was going to be a grueling experience. The training miles paid off though and the two girls made it look easy. Well done Ber and Michelle. Once again, well done to all our underage members and trainers for completing another good skills session on Saturday afternoon. Great to see the younger Wheely Wheelers enjoying themselves. Thanks to the trainers for giving their time. New members are always welcome to join our club, all you need is a bike and a helmet and you’re off. We have club spins Wednesday evening at 6.30, an easy paced cycle (perfect for beginners or those returning to cycling) at 9.30 Saturday morning and our Sunday spin at 8.30am. All leave the car park beside Kilmallock Cycles. There’s a group for everyone and every fitness level so don’t think you’ll be left behind. There’s plenty of chat, advice if you need it and you’ll get fit into the bargain. If you’d like to get some information before rolling up on your bike, call into Paul in Kilmallock Cycles who’ll be happy to tell you about club activities. It’s Only Flat at the Bottom!! Wed 18.04.12. SWW Mid Week Spin. Good times again last Wednesday, Kilmallock, Bruff, Athlacca, Bruree, Charleville, Effin, Ardpatrick and home. We had a few punctures but that didn’t dampen our spirits. Wheely Wheelers in action were Dodo Kelly, Aaron Walsh, Dave Walsh, Jerry Ryan, Mike Sexton, John Crowley, Mike Gammell, Paul Gammell, John Carey, Jerry Herbert, Shane O’Brien, Stephen Finn, Brendan Houlihan, Daithi Creedon and Robert Shanahan. Well done everyone. 12th and 13th May Knocklong to Doolin 21st Annual Sponsord Cycle. Sponsor Cards and info with Paul at Kilmallock Cycles. 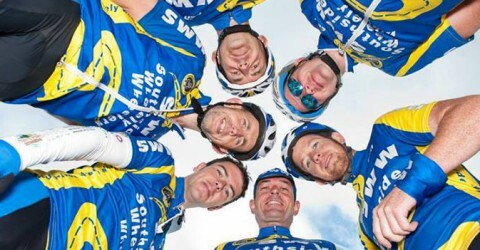 13th May Sunday Stephen Roche Tour de Cure Middleton Co Cork. 160kms, 100kms and 50kms Register on line http://www.stephenrochetourdecure.com/ Online Registrations Close May 7th. 27th May Ballymacarbry Tour, Co Waterford. Sunday, 27 May 2012 Start 10am. The inaugural Visit Nenagh Classic will take place on Sun. April 22nd, featuring 3 races from A1 to A4 – full details here: www.visitnenagh.net In conjunction with the race the town will also host a continental style food market with over 40 local food producers selling their wares. If you are planning to participate we would encourage you to bring your family/friends as there will be loads for all to do while waiting for the various passes of each race. For the kids there will also be a fun cycle, a go-kart track and street entertainment, all free obviously. The race itself should be very competitive as many of our leading cyclists will be participating. The Irish Junior Development Squad will also be having a training camp in Nenagh on the Sat. and taking part in the race on Sunday. Races will finish on the main street and they are making every effort to have as many locals and visitors come out to experience the thrill of bike racing at this level. Sunday 15.04.12. Kilmallock Cycling Club – Hub Tour. The Hub Tour was starting at 9.00am last Sunday so club members met at 8.30am in the car park beside Kilmallock Cycles. What a turnout! With the sun doing it’s best to clear the early morning frost the following club members were ready for action, Mike Sexton, Dodo Kelly, Liz Leonard, Willie McCarthy, Stephen Finn, Brendan Houlihan, Daithi Creedon, Owen Tobin, Shane O’Brien, Paul Gammell, Matthew Gammel, Mike Gammell, Mike Duggan, Edmund O’Reilly, Mike Meade, Robert Shanahan, Pat O’Donnell, Dave Walsh, Simon Kelly, Tadhg Murphy, Ger Finn, Martin Lake, Brendan Daly, Alan Dee, John Crowley and Dave Daly. With 80 and 120km routes waiting for us we rolled out of Kilmallock in glorious sunshine. The route took us to Ardpatrick, Glennanar, Ballyorgan, Kilfinane, Ballintubber, Ballylanders, Galbally, Lisvernane, over Christ the King, Tipperary, Lattin for some coffee and sandwiches, Emily, Knocklong, Hospital, Knockainey, Holycross, Bruff and home to Kilmallock to tuck into the roast pig. We had a few mechanical problems, punctures etc but we had good size groups staying together for the duration of the tour. It was great to see so many SWW club members travelling together and looking out for each other, this is what it’s all about. Many thanks to Kilmallock Cycling Club for a really well run tour and great hospitality, this tour is going from strength to strength.